SmartPhones are Getting Bigger and Getting Out of Hands? In 2010 when I got my first Android smartphone the HTC MyTouch 3G, It was a very pleasant feeling considering the fact that I’ve used Symbian phones in the past such as Nokia E8. I was a long user of Sony Ericson K800i and I also used BlackBerry Pearl. I’ve used a number of devices and they all felt great but when I eventually switched on to an Android smartphone, It was like a real deal for me. Full screen coupled with buttons and a trackpad while the keyboard is tucked away in another direction which needs to be flipped out to be used. But then my Friend brought in his Samsung Galaxy S. That changed the entire story from my point of view. The HTC MyTouch3g has a mini 3inch screen dimension and fits very well in my palms and I could see and read everything very great on the screen but then seeing the new Android device with a massive 4 inch screen made it seem too grand for me. Now, I’m cringing with my Huawei Mate 20X which is a massive 7.2 inch display. Is that a still a phablet or what…a Monster phone? Smartphone makers have always been adding large screens to their devices after Samsung turned the Galaxy Note to a massive device back in 2011. It’s 5.5 inch back then was like holding a tablet beside smaller phones like BlackBerry Storm or the iPhone 3. Everyyear, these smartphones gets larger and they barely fits into people’s hands. Gone are the days when you can disguise your smartphone in your pocket without anyone taking note. The Sony Ericson P990i was another giant monster during it’s times considering it’s thickness. Even the self-righteous Apple that makes tiny smartphones in the past now makes giant phones like the iPhone XR and the iPhone XS Max. What could be the cause of all these? When Samsung first announced the Galaxy Note back in 2011, everyone thought the device was too big. Take for instance the Galaxy Megas which had 5.8 Inch screen and the other which had a 6.3 inch display. Back then, these devices were nearly the biggest in history of smartphones which are supposed to be mobile. Big screen phones are now a common commodity for mobile consumers and the advantage likely supersedes it’s disadvantages. I conducted a mini test with couple of random people on the public where I asked them if they would prefer a 4 inch smartphone to a 6 inch smartphone. Believe it or not, 70 % of those that took the test said they preferred the larger screen because it was convenient for them. I would say the same myself if asked. For example, Jade Doe (Let’s call her that) said her phone is like her everything because she has almost all of her data on it. She uses an iPhone XS Max and she said she can read her ebooks, surf the web, watch videos and do virtually anything on the screen. Jade Doe also said she was happy when she saw the release of the iPhone XS Max because she was earlier using iPhone 7 Plus which was the larger variant of the older iPhones. While these devices doesn’t necessarily fit conveniently into most owners’ palms, most of them believed that it does and this gave them the notion that the “bigger the better”. Take the new Galaxy Note 9 for example, the device features a massive 6.4 inch display although it’s not too wide not to fit well into your hands, the device has a very massive power and the design is crisp. While I have quite a big palm myself, everyone is definitely not having the large hands like I do and that could be somewhat a big turn off to those people. While technology gets better everyday, we expects the best from companies every time and size is probably one of those addons the manufacturers have decided to add up to their powerful devices which can do nearly all things. In a world where platforms such as Fcebook and Instagram topples nearly all other platforms, the need to be able to surf these platforms efficiently makes large screen devices awesome and fun. Considering the fact that you don’t have to hire a photographer to take your photographs on every occasions anylonger makes large screen devices great. While surfing the internet is now better than before with more better technologies coming in subsequent years such as the 5G networks, streaming videos on YouTube and watching movies while traveling is now a great possibility. With large screens, you tend to stand a better chance of catching details and that inturn makes the whole experience a better one. Take the OLED screen of a Galaxy Note 9 for example, you get all those details with such a vibrant color which makes multimedia experience very cool. I personally write articles (like this one) from my smartphone (Huawei Mate 20X). Because I do travel via the Metro bus most times, I always need something that will be easier for me to carry and use anywhere I find myself and considering the fact that I don’t like carrying bags all the time. Large smartphones such as the Xiaomi Max 3 comes very handy in these scenarios. Also, you can design and or read ebooks right there. But I wouldn’t take that for all the advantages that a large screen smartphone has. Believe it or not, Large screen smartphones aren’t for everyone which is why manufacturers still have quite smaller devices which are nearly the same in terms of power and capabilities to the larger variants. Is that majority of us avid smartphone nerds tends to prefer large smartphones over their smaller variants in some cases. 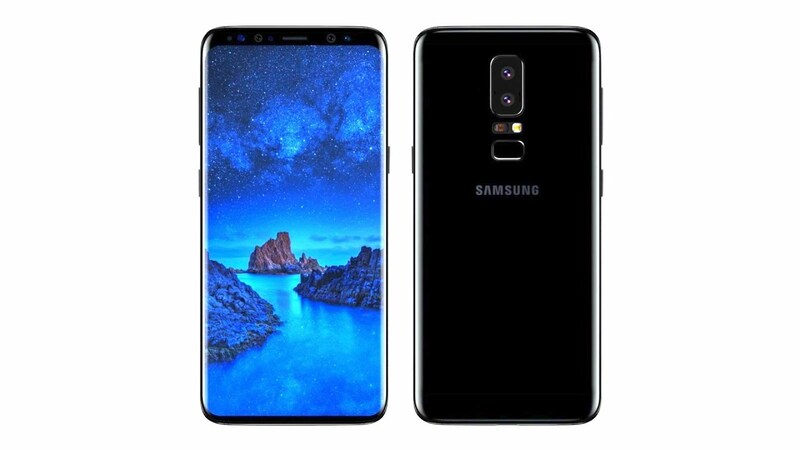 I have ones argued about the fact that If Samsung suddenly decided t downgrade the Galaxy S10 to somewhat 4 inch display and the Note to 4.5 inch display, there is going to be a big uproar because people no longer want those tiny devices anymore. While I wouldn’t blame Samsung for getting us used to the large screen in the first place, I’d say it all turn out to our advantage but I still wouldn’t think Huawei would make a smartphone in the realms of 7.5 r 8 inch display that would be totally out of hands. But I think as we get more used to tech products, mobile devices are going to completely substitute our PC or not because we need them too all the time. I wouldn’t imagine working via a smartphone at work. But there should be a bit of regulation based on the fact that there could be some health and social effects of large displays on our lives in general. 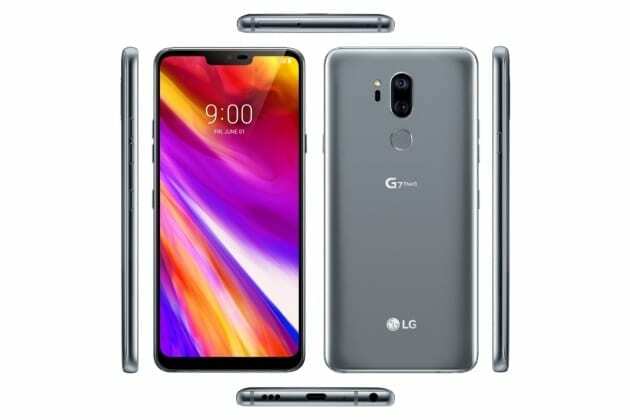 While there huge load of other Android and iOS smartphones with large screen above 5.8 Inch display in 2018 such as iPhone XR (6.3 inch), Huawei Nova 3i (6.3 inch), Huawei Y9 2019 (6.5 inch), Xiaomi Max 3 (6.8 inch), Honor 8x (6.5 inch), Honor 8x Max (7.1 inch) and lots more Android smartphones, It’s as if there would never be devices with small screens any longer as we proceed to the 2019 CES, we hope to learn more and present to you what amazing innovations that will be presented to the gadget community ones again in 2019.